Nearly sixty years after Alfred C. Kinsey researched what people do sexually in his Kinsey Reports, social psychologist, David W. Wahl has devoted his life and research work to understanding human sexuality. 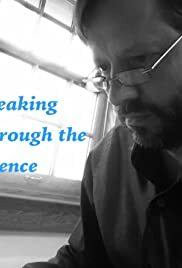 "Speaking Through the Silence" follows Wahl from a speaking engagement in Havana, Cuba, through the heartland of America, to the Coastlines of New York and California where we are witness to his work first-hand while he talks to the average person about their sexuality and how their lives have been affected by societal perceptions. Through this documentary, the viewer is exposed to the realities of human sexuality and the detrimental effects placed on those who reveal non-normative sexual behaviors. David W. Wahl demonstrates where we are sexually in society and where we need to be for people to lead complete lives.